The measurement of pulse volume is a useful initial test for patients with suspected lower limb peripheral artery disease (PAD). It can also be used as a predictor for critical limb ischaemia (CLI) and amputation. When arterial disease is present the contour of the waveform is seen to change: the slope is seen to flatten whilst pulse width widens. The dicrotic notch is also lost (TASC II). 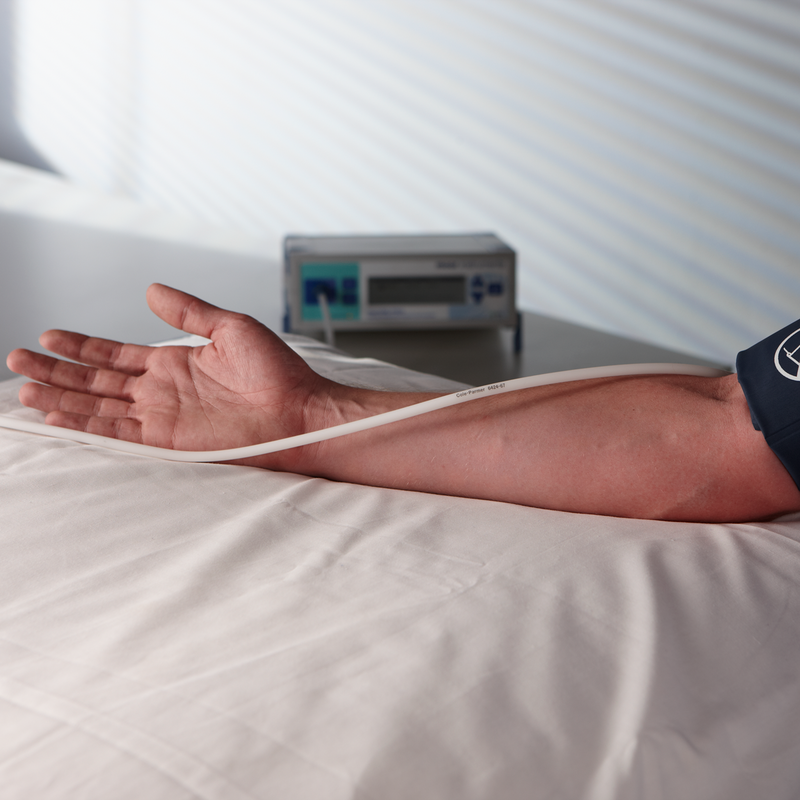 Pulse volume recordings are often used for localising the level of arterial disease and have been shown to be clinically useful in diabetic patients with peripheral vascular disease. Unlike ankle brachial pressure index (ABPI) measurements and segmental limb systolic pressure measurements, pulse volume recordings are not affected by calcified arteries. Thus pulse volume measurements are particularly useful in diabetic patients with calcified arterial vessels. 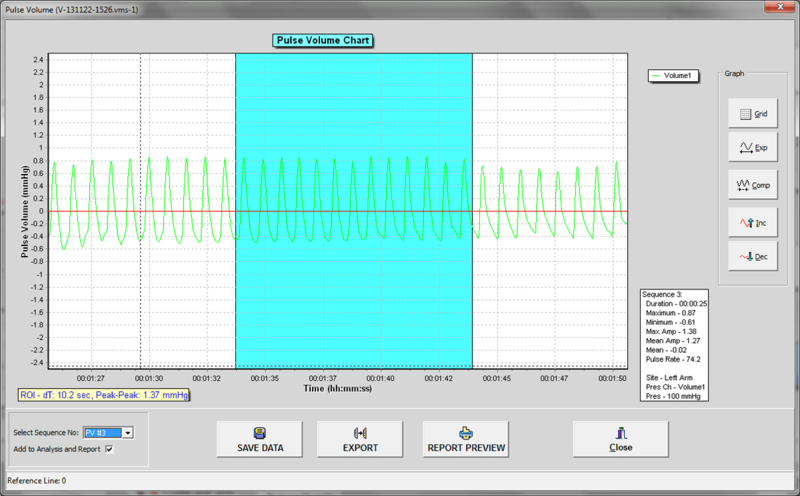 Pulse volume chart of results with easy options to edit, save and export data. Setup of moorVMS-PRES for PVR assessments. 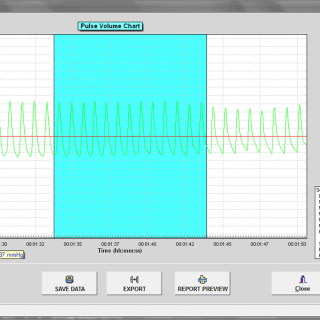 The moorVMS-VASC system, moorVMS-PRES system with a pressure cuff (no laser Doppler required for PVR) enables controlled, sensitive and reproducible pulse volume measurements in just a few minutes. 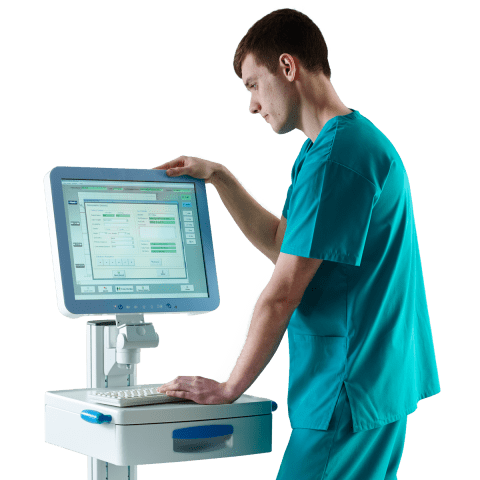 The system has been designed to incorporate a flexible yet user-friendly interface designed for both users new to field in addition to those with more experience. Standardised test procedures can be saved to aid reproducibility within your institution. Lewis J.E.A. and Owens D.R. (2010). The Pulse Volume Recorder as a Measure of Peripheral Vascular Status in People with Diabetes Mellitus. Diabetes Technology & Therapeutics, 12(1), pp 75-80. Norgren, L., Hiatt, W. R., Dormandy, J. A., Nehler, M. R., Harris, K. A., and Fowkes F. G. R.
On behalf of the TASC II Working Group Inter-Society Consensus for the Management of Peripheral Arterial Disease (TASC II). Journal of Vascular Surgery 45 (1, Supplement S), pS5A – S67A.